While Congress and the White House continued posturing publicly about their respective proposals for heading off the sudden expiration of tax cuts and forced spending cuts called the fiscal cliff, Sen. Olympia Snowe stopped to offer a history lesson. The U.S. Senate does not have to be the source of government dysfunction as it has become in recent years. Snowe told her colleagues that in her nearly 40 years of public service in Augusta and Washington, she has seen it work differently. Snowe shocked the political world in April when she announced that she would not seek a fourth term in the Senate. At that time, she was considered an easy winner, both in the general election and her first-ever Republican primary against a tea party opponent. In announcing her retirement, however, she said it was developments in Washington not in Maine politics that made her decide to end her career as an elected official. Snowe listed a number of areas in which she worked cooperatively with Democrats who were more interested in getting things done through compromise than winning political points. That’s what’s lost in today’s Congress, Snowe told her colleagues. As a result, legislating has become a lost art, Snowe said, and the Founders’ idea of governing through consensus is becoming an antiquated notion. The next Senate will consider changing its rules to prevent overuse of the filibuster and force people to cross party lines. We urge Maine’s Sens. Susan Collins and Angus King, a Republican and independent, to engage in that process and support the rule changes that would preserve respect for minority view, but promote action and not dysfunction. 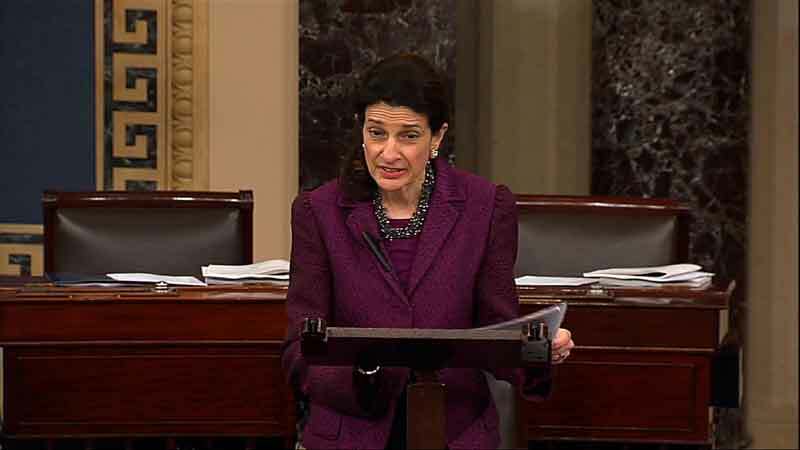 We are also encouraged by Snowe’s promise that she will continue to work from the outside to help the Senate live up to the framers’ vision. She leaves with such high esteem from her colleagues and the public, she could remain a potent force even after she retires. We share her hope that her history lesson is not the way this story ends.